Residents at 125 Cedar St., whose windows are across the street from Ground Zero, continue to clean up their lofts six months after the terrorist attack that destroyed the World Trade Center. They are wearing respirators to prevent contamination from debris and air pollution. The view from their windows show more dust and smoke rising from the ground as workers attempt to recover bodies and remove debris. 21 March 2002, NYC. With the announcement by the September 11th Victim Compensation Fund that because of the lack of resources, they will be cutting pending claims of injured and ill 9/11 responders and survivors by 50% and future claims by 70%, U.S. Senators Kirsten Gillibrand (D-NY) and Cory Gardner (R-CO), U.S. Senate Minority Leader Charles E. Schumer (D-NY), and U.S. Representatives Carolyn B. Maloney (D-NY-12), Jerrold Nadler (D-NY-10), and Peter T. King (R-NY-2) have introduced the bipartisan legislation “Never Forget the Heroes: Permanent Authorization of the September 11th Victim Compensation Fund Act,” HR.1327/ S.546. It would fully fund the VCF, reverse any cuts would keep the VCF open past December 2020 when it is scheduled to be shut down. With the announcement by the September 11th Victim Compensation Fund that because of the lack of resources, they will be cutting pending claims of injured and ill 9/11 responders and survivors by 50% and future claims by 70%, U.S. Senators Kirsten Gillibrand (D-NY) and Cory Gardner (R-CO), U.S. Senate Minority Leader Charles E. Schumer (D-NY), and U.S. Representatives Carolyn B. Maloney (D-NY-12), Jerrold Nadler (D-NY-10), and Peter T. King (R-NY-2) have introduced the bipartisan legislation “Never Forget the Heroes: Permanent Authorization of the September 11th Victim Compensation Fund Act,” HR.1327/ S.546. It would fully fund the VCF, reverse any cuts would keep the VCF open past December 202 when it is scheduled to be shut down. The legislation was introduced with a strong show of initial support with 22 bipartisan sponsors in the Senate and 93 in the House with members of Congress from across the country including Arizona, California, Colorado, Connecticut, Florida, Illinois, Minnesota, New Hampshire, New Jersey, New York, North Carolina, Pennsylvania. Rhode Island Texas, Virginia, Washington and Wisconsin. 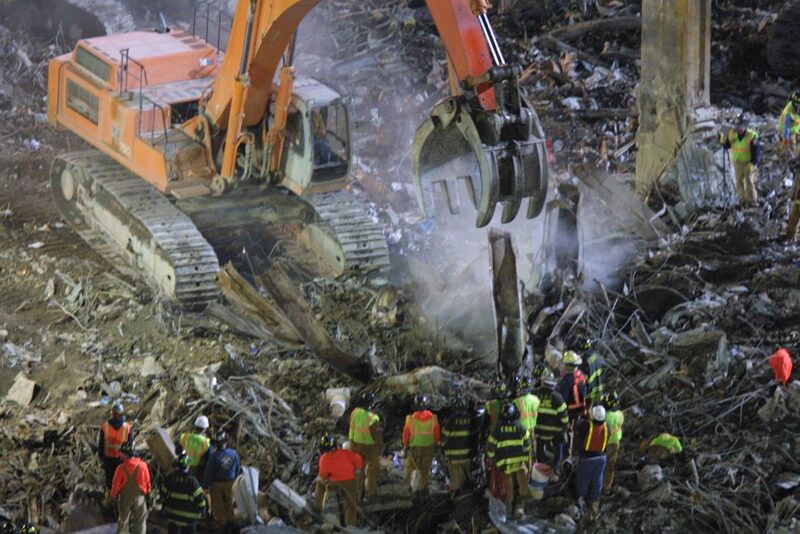 Citizens for the Extension of the James Zadroga Act want to thank the lead sponsors, Senators Gillibrand, Schumer, Gardner, and Representatives Maloney, Nadler and King along with all their cosponsors for their efforts on behalf of injured and ill 9/11 responders and survivors to fully fund the VCF and to permanently authorize it. We look forward to working with them along with other advocates in the coming weeks as we build support for the legislation. Remembering 9/11 should be more than a bumper sticker. Help us pass this legislation. Check if your Member of Congress and Senators have cosponsored the bill, and if not, call them and urge them to join. Title: “Never Forget the Heroes: Permanent Authorization of the September 11th Victim Compensation Fund Act” HR.1327/ S.546. Extends and funds the September 11th Victim Compensation Fund (VCF) until 2090 the same as the World Trade Center Health Program. Mandates that the Special Master make whole any determinations that were reduced due to lack of enough funding. Allows the Special Master, if special circumstances warrant, discretion to provide increased cancer and non-cancer, non-economic awards. Allows the Special Master to adjust awards based on inflation every 5 years. Reps. Maloney, Nadler, King and Sens. Gillibrand, Gardner, Schumer announce bipartisan legislation to fully fund and permanently reauthorize the September 11th Victim Compensation Fund and prevent announced cuts to compensation awards. Below are the Organizations that have joined to support and fight for sick and dying 9/11 Responders and Survivors. Your organization can join the coalition here. As urgency builds to make permanent and fully fund the 9/11 Victim Compensation Fund, callow and courageous lawmakers are making their positions known. Jon Stewart has been an advocate and truth-teller for the Sept. 11 first responders who are suffering from cancer and respiratory ailments from inhaling toxic dust at Ground Zero. Cory Gardner was just out of law school in Colorado, 1,700 miles away, when terrorists destroyed the World Trade Center on 9/11.